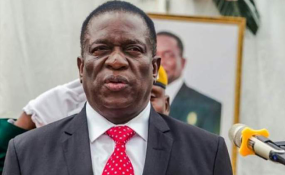 PRESIDENT Emmerson Mnangagwa has scoffed at reports that an influential British lawmaker wants the UK to withdraw its support for Zimbabwe's application the Commonwealth. Mnangagwa told French television channel France24.com in an interview on the side-lines of African Union (AU) summit currently underway in Ethiopia that Britain's opinion is not law within the Commonwealth. "We apply to the Commonwealth secretariat," he said. "The Commonwealth has not told us that they are no considering our application to be re-instated. The view of one member is not the view of the Commonwealth." In the aftermath of the violent January protests and the attendant military crackdown that left 12 people dead, Britain's Commonwealth minister, Lord Tariq Mahmood Ahmad, warned that the ongoing reports of military brutality against unarmed civilians and opposition leaders were jeopardising Zimbabwe's chances of being re-admitted into the elite club. "Many saw during the (2018) Commonwealth summit, the government's commitment to encourage, among other partners, the new Zimbabwe to come forward for membership. Clearly, the events that have unfolded recently put that into question -- but, of course, it is a matter not for the UK, but for the Commonwealth as a whole," Ahmad said. Mnangagwa last year applied for Zimbabwe to re-join the Commonwealth and invited the bloc, which is largely made up of former British colonies, to send representatives to observe the July 30, 2018 polls, whose results have been disputed by the opposition Nelson Chamisa's MDC party. Former President Robert Mugabe angrily pulled Zimbabwe out of the Commonwealth after he was accused of human rights abuses and got suspended from the club in 2003. The Commonwealth observer mission to Zimbabwe's 2018 elections condemned the polls arguing the plebiscite won controversially by Mnangagwa and contested by the opposition MDC fell short of international best practice. However, up to now the British government had maintained a soft stance on Mnangagwa's administration, hoping for quick political and economic reforms despite the fatal shooting of six civilians in the August 1, 2018 post-election violence.